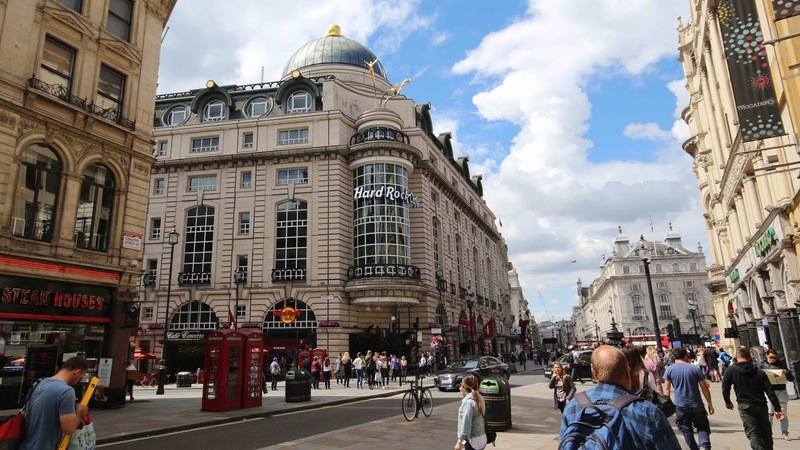 London, England, Nov, 2018 – Hard Rock International today announced plans to open a new flagship cafe in London’s Piccadilly Circus. The brand’s newest cafe marks the first Hard Rock location to showcase Hard Rock’s modern vision, which will include a new design style, the world’s largest Rock Shop, contemporary memorabilia, and a new menu. The iconic location was strategically selected for its position in the heart of Piccadilly Circus, the capital’s entertainment hub. 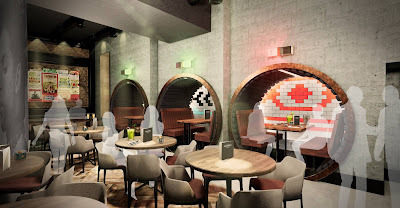 The more than 1,800-square-metre, multi-level state-of-the-art cafe will feature Hard Rock’s one-of-a-kind blend of music, entertainment, iconic merchandise and authentic American food and drink. The London building will showcase an open kitchen concept and Hard Rock’s new design style, which draws on inspiration from the city, including Victorian glazed tiling and the fabrics and colours of the London Underground. A stage for live music performances will be in the main dining room. While the new cafe will feature memorabilia from classic UK artists such as Freddie Mercury, David Bowie and George Michael, the Piccadilly Circus location will focus on memorabilia from contemporary artists such as Charli XCX, Ellie Goulding, Ed Sheeran and Amy Winehouse. 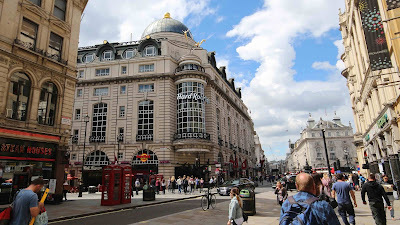 Hard Rock Cafe Piccadilly Circus will complement the classic Hyde Park location, the first Hard Rock Cafe in the world. This location has been a pivotal part of London’s music and food history since 1971, when two Americans, Isaac Tigrett and Peter Morton, established the casual burger restaurant for them and their music-loving friends. Many of these friends went on to become icons the music industry and have since donated their pieces to Hard Rock’s more than 81,000-piece collection. The cafe includes classic memorabilia from iconic artists such as Eric Clapton’s Red Fender Lead II Guitar, Hard Rock’s very first piece of rock memorabilia, and Jimi Hendrix’s Flying V guitar. Hard Rock Cafe London’s most famous musical performances included Deep Purple and Aerosmith. The first-of-its-kind restaurant, steeped in music history, will remain on Old Park Lane and keep its historic décor elements in homage to Hard Rock’s roots. Further details about the new cafe will be released soon. For additional information on the Hard Rock Cafe brand, please visit www.hardrock.com. With venues in 74 countries, including 185 cafes, 27 hotels and 12 casinos, Hard Rock International (HRI) is one of the most globally recognized companies. Beginning with an Eric Clapton guitar, Hard Rock owns the world's most valuable collection of music memorabilia, which is displayed at its locations around the globe. Hard Rock is also known for its collectible fashion and music-related merchandise and Hard Rock Live performance venues. HRI owns the global trademark for all Hard Rock brands. The company owns, operates and franchises Cafes in iconic cities including London, New York, San Francisco, Sydney and Dubai. HRI also owns, licenses and/or manages hotel/casino properties worldwide. Destinations include the company’s two most successful Hotel and Casino properties in Tampa and Hollywood, FL., both owned and operated by HRI parent entity The Seminole Tribe of Florida, as well as other exciting locations including Atlantic City, Bali, Cancun, Daytona Beach, Ibiza, Orlando, Shenzhen and San Diego. Upcoming new Hard Rock Cafe locations include, Maldives, Manila, Malaga, Georgetown, Fortaleza, Rosario and Chengdu. New Hard Rock Hotel, Casino or Hotel & Casino projects include Berlin, Budapest, Desaru Coast, Dublin, London, Los Cabos, Madrid, Maldives, New York City, Ottawa, Sacramento, Dalian and Haikou in China. In 2018, Hard Rock International was recognized as a Forbes Magazine Top Employer for Women and Land Operator of the Year at the Global Gaming Awards. For more information on Hard Rock International visit www.hardrock.com.